Click on any of the Sony TV individual model numbers below to see the full review, pricing, and availability. Through the gloss screen finish with excellent anti-reflective qualities the A8F produces an awesome OLED TV picture quality that is (still) unrivaled by 4K LED TVs at the moment. Though the OLED panel is manufactured by LG, Sony's processing chip sets and design are all Sony, and therefore make the A8F a bit different from their competitor. The XBR-X900F Series are back with some compelling features and value offering for the year. The X900, equipped with the powerful new 4K HDR Processor X1 and 4K X-Reality pro, takes even non-HDR content to near HDR quality. The TRILUMINOUS Display produces smooth and vibrant colors and Motionflow™ XR technology produces lifelike motion while 4K X-Reality PRO provides detail and clarity. Also includes Android™ TV with Google Home compatibility. The XBR-X850F Series are back with some compelling features and value offering for the year. The X850, equipped with the powerful new 4K HDR Processor X1 and 4K X-Reality pro, takes even non-HDR content to near HDR quality. The TRILUMINOUS Display produces smooth and vibrant colors and Motionflow™ XR technology produces lifelike motion while 4K X-Reality PRO provides detail and clarity. Also includes Android™ TV with Google Home compatibility. The XBR-800 Series is back with some compelling features and value offering for the year. The TRILUMINOUS Display produces smooth and vibrant colors and Motionflow™ XR technology produces lifelike motion while 4K X-Reality PRO provides detail and clarity. Also includes Android™ TV with Google Home compatibility. The XBR-X850E Series are back with some compelling features and value offering for the year. The X850, equipped with the powerful new 4K HDR Processor X1, takes even non-HDR content to near HDR quality. The TRILUMINOUS Display produces smooth and vibrant colors and Motionflow™ XR technology produces lifelike motion while 4K X-Reality PRO provides detail and clarity. Also includes Android™ TV with Google Home compatibility. The last new feature I'll mention here is the X-tended Dynamic Range Pro 5X, which is a contrast enhancement booster mechanism, and not one of my favorite features, due the fact that it usually makes little difference to the viewer and can add flicker to the picture. New features in this years Sony flagship LED-LCD TV model has a slim backlight drive, which is a full array backlight feature that's new and improved. 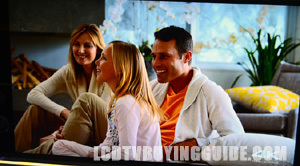 As we have noted in the past, the best LED-LCD TVs have excellent full array backlighting as a separating feature. I'm glad that Sony has kept the X800 series similar to last years X830C with only a few upgrade touches. 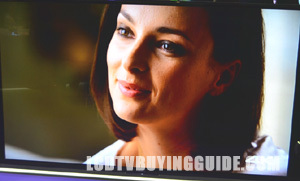 We loved this TV last year for its exceptional picture/price combination along with good solid features. The same applies this year with the X800D. The X930D and X940D series are back for 2016/2017 and will again be one of the best value high end feature TVs on the market. Sony's X1 processor, HDR capability, ultra slim design with Slim backlight drive, and zonal grid video processing are highlights. Thankfully Sony is back with a replacement for the X850C series. This exceptional model for price and value adds the somewhat confusing benefits of HDR capability. It's available in 4 sizes for 2016/2017. 55”, 65”, 75”, and 85”. The X930C has all of the features of the X900C, but also implements the side mounted speakers for an extra bump to the sound quality. Excellent upscaling, Truluminous display, Android TV make this a solid choice. The X900C is nearly the top of the line when it comes to Sony 4K LED TVs for 2015. Excellent upscaling, Truluminous display, Android TV, and a super thin design make this a solid choice. The only thing it is missing are the side mounted speakers from the X930C. The X850C is much improved over the X850B from last year. 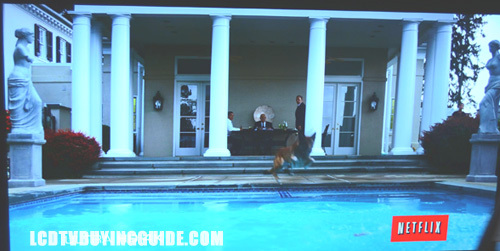 The picture is noticeably cleaner and clearer with up-scaled and converted HD programming. This is due to the new 4K Processor X1. The Android powered smart TV platform adds a lot of value as well. The X830C is very similar to the X850C, but take away the Triluminous display. Contrast and color on the 830C are softer, less refined, and clear than the top of the line, but the price difference is a great tradeoff. The W850C is is Sony's value offering in a 1080p HD LED screen for 2015. Picture quality is strong, but this series does not include the Triluminous Display nor Dynamic Range enhancements for a widened color gamut. The W800C is is Sony's value offering in a 1080p HD LED screen for 2015. Picture quality is strong and features include Android TV, dynamic contrast, X Reality Pro, and Google Cast ready. The budget level R510C series offers plenty of punch when it comes to picture quality for the price, but it is lacking when it comes to features. Basic wifi connection, a pleasing design, and decent sound quality make this a good choice for the price concerned shopper. The X950B series is the top of the line for Sony's 4K LED TVs in 2014. These TVs feature the new X-tended Dynamic Range PRO feature to produce 3x brighter whites and deeper blacks than the standard HD TVs in the lineup. These are Active 3D and smart TV enabled. The X900B series takes the form of the X900 series from 2013. The side mounted speakers produce excellent sound, which is a welcome addition in a sea of TVs that don't deliver a full range. The smaller sizes support active 3D while the 79 inch uses passive. The X850B series loses the side speakers and X-tended Dynamic Range picture quality features. The picture processing engine is still one of the best along with HDMI 2.0 support for 4K Content. The 70 inch size support active 3D while the rest of the sizes utilize passive 3D technology. The W950B series is top of the line for Sony when it comes to edge-lit LED TVs in 2014. These TVs feature the new X-tended Dynamic Range feature to produce brighter whites and deeper blacks. These are 3D and smart TV enabled. The W850B series features larger screen sizes than the W950B series, but loses the X-tended Dynamic Range. These are active 3D and smart TV enabled and feature the Wedge shape design. The W800B series loses some of the picture quality features and goes with active 3D instead of passive technology. These models also feature a slim design with a wide stand. Wifi and Sony Smart TV features are built right in. The W630B series is only available in the 60 inch size. This model features the same picture quality features like the X-Reality PRO picture processing and Motionflow XR 240 along with smart TV platform. There is no 3D playback here. The W600B series still features bright full HD picture with X-Reality PRO processing and Motionflow XR 240. This series is available in 40 and 48 inch sizes. Sony 4K TV with 4 times the resolution of a normal 1080p TV, great speaker system, passive 3D, and the 4K X-Reality PRO picture engine for up-conversion. 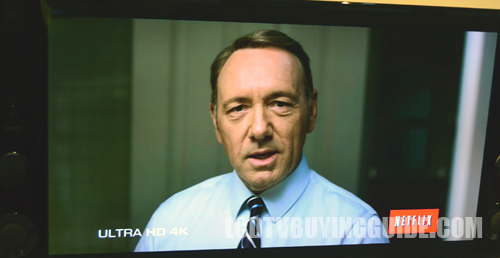 Sony scales things down a bit with the X850A 4K LED TV series. The loss of the large side speakers is the biggest difference here. They have active 3D, Triluminous displays, and the 4K X-Reality PRO picture engine for up-conversion. Sony touts this one as the first curved LED TV, and it's true. The only other curved TVs out there right now are OLEDs. The curviture is designed to create a much more immersive experience for the home theater. The screen is 65 inches. The HX950 has the OptiContrast panel front face which does a nice job of absorbing inbound light from ambient sources. It's also a much clearer finish than the semi-matte screen finishes found on the HX750 and all of the mid-tier Samsung models. This gives you more picture depth and better off-center viewing angles. The W900 series from Sony's 2013/2014 lineup has a lot of the same features of the HX850 series from the previous year. You find all of the top tier features here with added smartphone and tablet connection options.Sony has added near field communication capabilities as one of the sharing methods. The W850A series from Sony's 2013/2014 lineup is basically the same as the W900A above it, but the Motionflow feature has been toned down in exchange for a larger screen size. It is only available in the 65 inch size. You find all of the top tier features here with added smartphone and tablet connection options. The W802 series is the 2nd tier model from Sony's 2013 and early 2014 lineup. It is a replacement for last years HX750 model and the feature set shows it. It has passive 3D playback, a 120Hz panel with Motionflow XR 240 for fast action, and the Sony Entertainment Network smart TV platform. The W650 series is an interesting entry in Sony's 2013/14 lineup. The only size available is a 32 inch model. You may wonder why it's placed so high on the list. That's because it is loaded with features. Sony recognized a need for a good 32 inch LED/LCD and filled the gap. The R550 series offers some of the largest LED edge-lit TVs from Sony, only second to their 84 inch 4K TV. The R550 has a leg up on the R520 series by including passive 3D on the set. It's the main difference and helps shoppers decide which to go with. The R520 series is a slight step down from the R550 series. The passive 3D may not be present but the wide range of smart TV features and picture quality features are still here. The lack of 3D brings down the price a bit and makes these 60 and 70 inch TVs more of a value option in the large size arena. The R450 series offers 40 and 50 inch sizes. This is a budget model that offers a 1080p resolution and direct LED backlighting. The R400 series is the bottom of the Sony lineup for 2013 and early 2014. This 32 inch model is as basic as it gets. It's got a 720p resolution display with direct LED backlighting. It is a strong competitor for the small budget class of TVs. The HX850 series has dynamic edge lit local dimming technology which allows a super high state frame rate hz rate conversion of 960 Motionflow on the HX850. Translated, this means great processing during fast action fast motion sequences. 3D viewing is hard to beat the design is the monolithic stand design that was popular on the previous highest-end models from Sony. Check out the full reviews of the models below. The 2012 Sony HX750 series is also dynamic edge lit but the primary difference between it and the HX850 series is that the Motionflow XR Hz rate equivalent is 480 rather than 960 on the HX850. The design of the TV is very nice - carrying the monolithic design onward. You get full web browsing, built in Wifi and a plethora of features with this new 2012 Sony. A cool little touchpad/QWERTY remote control comes with it to assist with the Internet/Smart TV functions. The EX640 series is a large step down from the top two offerings so far for 2012. We do appreciate the processing that this model contains and it still maintains a fast 240Hz frame rate conversion. 24p true Cinema processing is another plus. This is an edge lit LED without being dynamic - meaning no localized dimming opportunities. The EX640 series does not offer 3D. The 2012 BX450 replaces the BX420 from last year and an smaller size value offering from Son. The series has a fluorescent back lit, 1080p, 60Hz LCD panel. 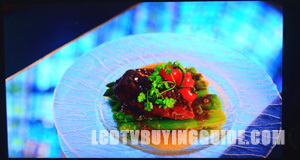 One way to save money on when constructing an LCD television is to forego LED back or edge lighting and use traditional flourescent lighting. That's what the BX450 contains for these smaller size TVs where you dont necessarily have to have the newest picture quality features. The 2012 BX330 replaces the BX320 from last year with a fluorescent back lit, 720p, 60Hz LCD panel. It is only available in the 32" size at this time. Rather than light the LCD panel with LED back lighting or edge lighting the BX series uses CCFL fluorescent back lighting. Sony's excellent functionality is a winner in these smaller LCD TVs. The new EX720 series is a replacement for the EX710 series with a new 1080p, LED edge lit panel and expanded internet features, it is available in 4 sizes from 55" down to 32". 2011's replacement for the EX600 series is the EX620, we liked all the EX series TVs we reviewed last year and the EX620 continues on the quality EX line. This is the top of the line in 3D LED/LCD televisions from Sony. They feature the new "Monolithic" design look which is very unique among today's televisions. The glass goes all the way to the edge. Check out this 1080p, 240Hz, top tier TV. The HX729 is a mid tier 3D LED TV from Sony, it contains most of the features of the higher end models but doesn't feature the trendy "Monolithic" design.